Do forests that become creatures remain forests? What is your meta like? It seems like you’re trying to fight control, but then I don’t understand the choice of running Nylea, God of the Hunt , because it doesn’t do much on an empty board, and Blanchwood Armor seems really bad in the control matchup, because it provides no card advantage and the enchanted creature is most likely just gonna get slaughtered, bringing you down two cards. 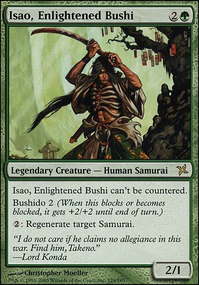 You’re also only allowed four cards in a deck with the same name (sans basic lands); the fifth copy of Blanchwood Armor isn’t actually legal in the sideboard. I can brainstorm with you on ways we could add blue. 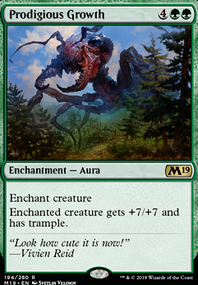 It just seems like you’re trying to dilute the idea of Mono-Green Stompy a tad bit too much, and I need an idea of what matchups you feel blue is needed for. I guess I'm a little confused as to what you're trying to do with the deck. 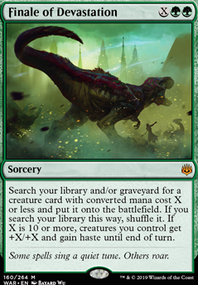 Are you trying to play Standard Bogles with Vine Mare / Carnage Tyrant and Blanchwood Armor ? 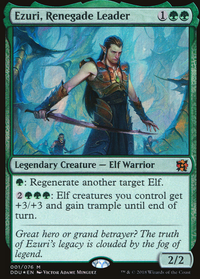 Or are you trying to play a lands deck focused around Multani, Yavimaya's Avatar ? 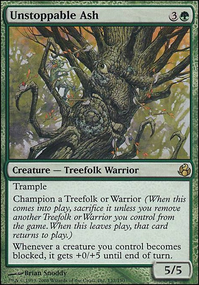 It seems more like your deck is closer to the first one, so I would remove the Ghastbark Twins for another copy of Growth-Chamber Guardian , and then I would make room by removing the Multani and something else to make room for a couple forests as well as maybe a few copies of Jadelight Ranger . I do feel like 22 lands is too few since the only ramp you really have in this deck is Llanowar, 24-25 would probably be a better number to make sure you're curving out with your strong creatures, as well as powering up Armor. I like the deck! 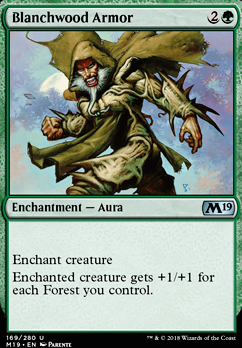 Since you already run Experiment One and your deck is almost Mono Green, would you consider Pelt Collector and maybe Blanchwood Armor ? There's a reason that those other decks are mostly running equipment, since you can re equip it if the creature dies. That doesn't make enchantments bad at all, there's just more synergy with a lot of existing cats. I'd suggest cutting the token theme, since it's much slower to get up and running compared to dropping a few weak creatures and pumping them up. You may consider trying to lower the curve a little bit and include more low cost creatures and buffs. If you have a 1/1 and can give it +3/+x, with enough to activate Arahbo, you are suddenly dealing 8 damage with just that 1/1 creature. Sure, casting something like Phantom Nishoba and doubling it's power does work, but not until you've spent 5-7 turns building up mana. You should have a Sol Ring in every EDH deck. It's too good, and too cheap compared to something like Privileged Position . I'd also cut Blanchwood Armor , Ajani's Aid (since you don't have the card it references, it's not much more than a Fog your opponent knows about), and most of your higher CMC cards. Seht's Tiger is a very solid cat, it's not often you'll find what is basically a counter spell in white. 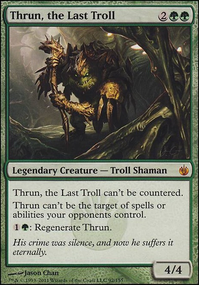 Also add in Temur Sabertooth . That can not only save some decent creatures, but also make a strong attacker, and let you recast things with ETB effects. Not sure what you are going for, but Collected Company might be something to consider. 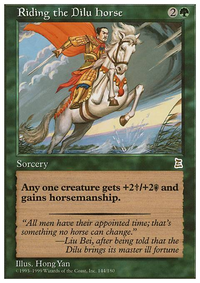 Also, Oracle of Mul Daya, Blanchwood Armor if you are going mono green perhaps.